Welcome to Kelowna Volvo, your dealer of choice for the purchase, maintenance, and genuine parts and accessories in Kelowna. 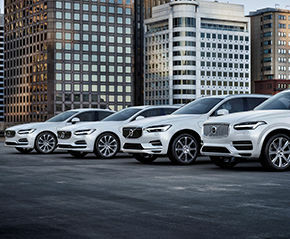 Since we first opened our doors, we have proudly represented the Volvo brand with a dedicated team of sales representatives who are truly passionate about the Swedish brand. At Kelowna Volvo, you are our priority as soon as you walk through our doors. At Kelowna Volvo, you'll find an experienced team with the knowledge and skills you're looking for when buying your next vehicle, or when you need it serviced. At Kelowna Volvo, we make sure to always exceed your expectations every time you visit. We will take the time to listen to you in order to understand your needs and respond to them. We know that the customer experience at a car dealership can be inconsistent. At Kelowna Volvo, we make sure to always treat our customers with the highest standards of quality and service. For those who do not want to compromise on the purchase of their next vehicle, Kelowna Volvo will be able to surpass your expectations and needs. 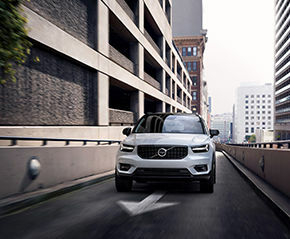 We have a complete collection of the latest models, including the XC40, XC60, and XC90 luxury sport utility vehicles. 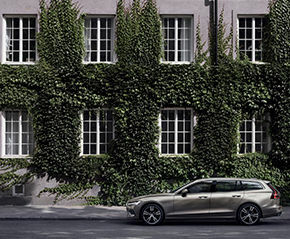 When you become a Volvo vehicle owner, Kelowna Volvo in Kelowna offers all the services you need to ensure the maintenance, resale value, and performance of your new vehicle. With a complete parts and accessories department and a wide range of maintenance services, your Volvo will always be preserved at its best at Kelowna Volvo. The story of Kelowna Volvo is one of unwavering commitment to customer service. After all, a car dealership has only its approach to customer experience and offering value to stand out. Our new and pre-owned vehicles may offer exceptional quality, but we're not the only ones to have them in stock. We must therefore make sure we put customer satisfaction first in order to stand out.